The New Prairie Cougars Athletic Department website (www.NPCougars.com) finishes 3rd in the latest Indiana VNN monthly web stats report! Thank you for your continued interest in and support of our Student-Athletes! After reclaiming the coveted first place spot in the month of February, NPCougars.com fell to 3rd place among the now 202 member schools in the Indiana Varsity News Network (VNN) for the month of March. Rankings are measured by the number of page views to each member’s site per month and March 2019 brought in over 52,000 page views (52,199 to be exact) to NPCougars.com which also ranked 23rd nationally among over 2,000 VNN member schools spread over 48 states across the country. Help us regain the top spot by checking out updates on NPCougars.com on a daily basis. Since the updated NPCougars.com exploded on the scene at #5 in August 2018, the website continues to grow and has achieved the coveted top spot of the VNN rankings three times in it’s first eight months of existence. Numerous articles, announcements, featured media stories, schedule updates and over 17 thousand pictures have been added to the site. New content is constantly being uploaded. 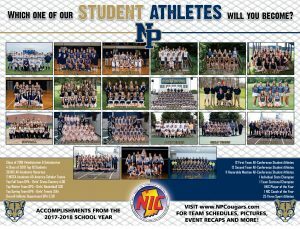 Directions to IHSAA schools, IHSAA Eligibility Information, IHSAA Physical & required participation forms, the listing of our Student-Athlete’s college commitments, a plethora of college eligibility information as well as a whole lot more can be found at NPCougars.com. This site continues to grow in content and will help to promote our Student-Athletes’s accomplishments from all of our teams. Help us regain the #1 spot by passing on NPCougars.com to family, friends and anyone else you can think of. Encourage everyone to check out our website and see what is going on in the world of New Prairie High School Athletics to help promote our Student-Athletes, New Prairie High School and our community. Don’t always have access to a computer? 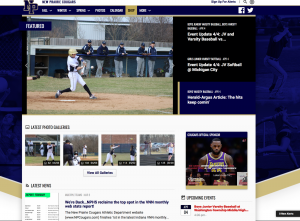 NPCougars.com is also available on your phone or tablet and you can also connect with us thru Facebook at (New Prairie High School Athletics) and follow us on Twitter (@NPHS_athletics). 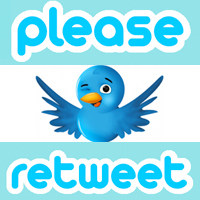 Please share our posts and retweet whenever possible. Every hit to the site counts! Are you a business looking for advertising opportunities while supporting your local High School Student-Athletes? Your business advertising information can gain high visibility within a targeted audience appearing on each page of the website and will link directly to the sponsor’s site. Your information will be seen by thousands of local, sports-minded families and will help to set your business apart while making a financial contribution to help support our New Prairie Student-Athletes. For more information on becoming a webpage sponsor, please contact VNN rep Chris Brelage at cbrelage@vnnsports.net. Have you asked someone you know to check out NPCougars.com today? We will continue to develop and add content to the site as we are only scratching the surface of what it can become. We thank you for your interest in our Student-Athletes and appreciate your support! Help us reach a record number of hits and help promote our Cougar Student-Athletes. A couple of clicks a day goes a very long way!